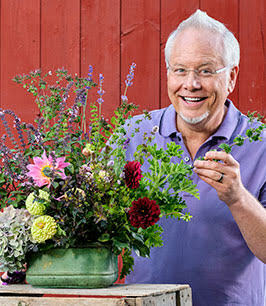 This month’s Featured uBloomer is Scott Darhower , owner of Apple Blossoms Floral Design & Gifts . Scott is originally from Pennsylvania, but currently resides in sunny Tampa, FL. 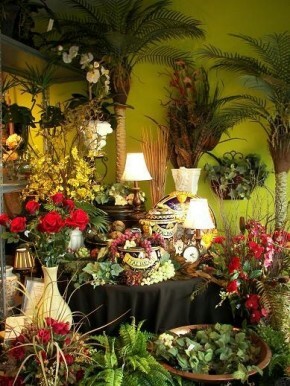 How long have you been in the floral industry? 28 years now. Hard to believe. Seems as though it was just yesterday I started my first job! 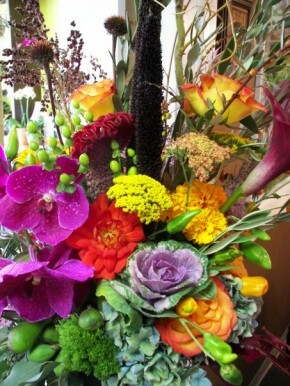 Did you always want to work with flowers? From as far back as I can remember I have always had a fascination with not only flowers, but with plants as well. My room was like a jungle growing up. 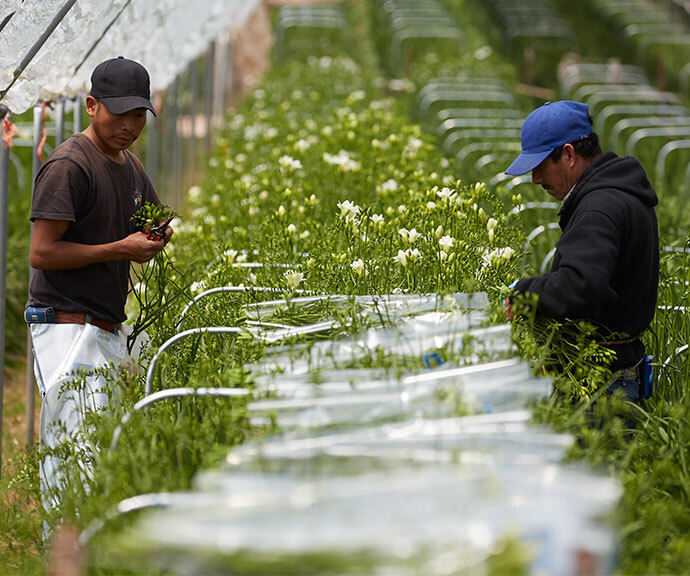 How did you get started in the flower biz? My Mom got me started in the business at the age of 15 while picking up a corsage for a dance at the oldest florist in my home town Carlisle, PA., and the seed was planted. 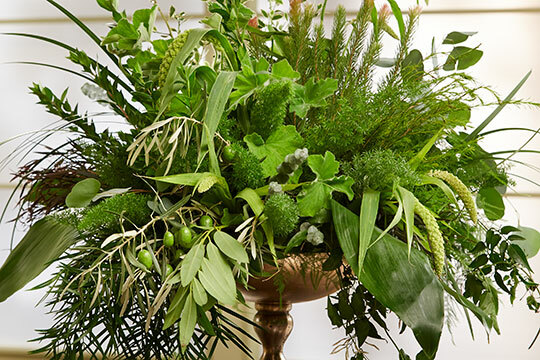 Who do you consider to be (or to have been) very influential in helping you get started and become successful in your floral career? Oh my. It’s hard to pick one. My Aunt Vera introduced me to Rose Gardening. She had some of the most beautiful roses. My Gram and Pap Barrick taught me vegetable gardening and how you can take a seed and feed your family, and my Grandma Darhower, who always had the most beautiful and unusual flowers and plants. Last and foremost, my parents and my partner, who have been so supportive for so many years. I find inspiration in many places. From the natural beauty of the forest floor to architecture. What floral materials do you like working with the most? In my experience I have found that designers do have favorites. Whether it be fresh or permanent, but I like it all. I really have not found something that I like the best. It’s all in how you use it. What is your least favorite? Unnatural looking artificial flowers. I just don’t know where a blue rose came from? Are there seeds for those? 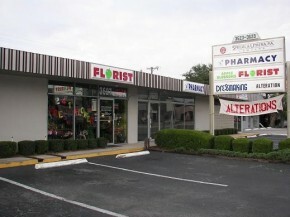 You are the owner of Apple Blossoms Florist in Tampa, Fl. Give us some background on how you became the owner and why. Growing up in a family business was the start. 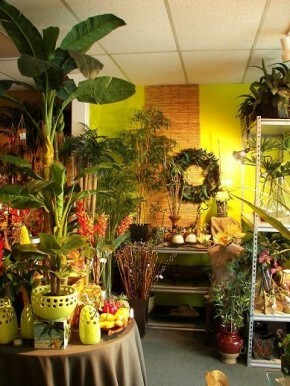 I have always wanted to own my own flower shop. 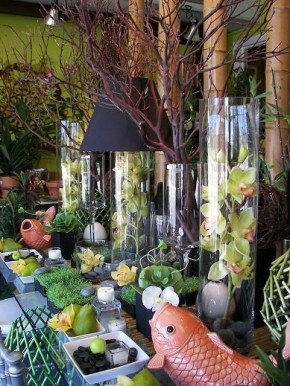 I think every designer would love to own their own flower shop. I left the traditional flower shop about 4 years ago and stepped into the freelance side of the business. I was working for an incredible business in Tampa until the passing of the owner. The family took over and wanted to force me into working for them full time. I knew if I did, I may possibly watch my dream die. I took a chance and opened a space at a flea market for about 6 months, and the hottest 6 months of the year here in Florida. It just didn’t work, so I decided to look for a space in the Tampa area when I found a furniture store that had 500 sq.ft. of space they wanted to lease. I rented the space, but it just wasn’t right. I didn’t have much exposure and just didn’t seem to be going anywhere. By chance I noticed a storefront just across the street and decided since I had put so much energy into my dream I needed to take the next step. We opened the end of April 2007. It’s been quite an adventure from day one. For me, owning my own business is so gratifying. Especially a flower shop. I love knowing that the service and product we provide is one that has been passed down through the ages and captures every emotion under the sun. What is your business philosophy at Apple Blossoms? We are based on old fashioned simple standards of days gone by. Customers really like this. They feel right at home. 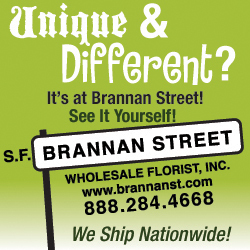 We make it a point to educate our customers and clients and make them a part of our flower family. What are your top selling items/designs? Fresh flowers of all kinds. 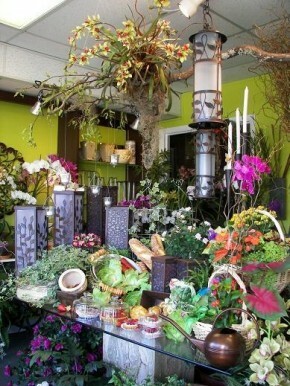 We carry a diverse selection of more unusual flowers. 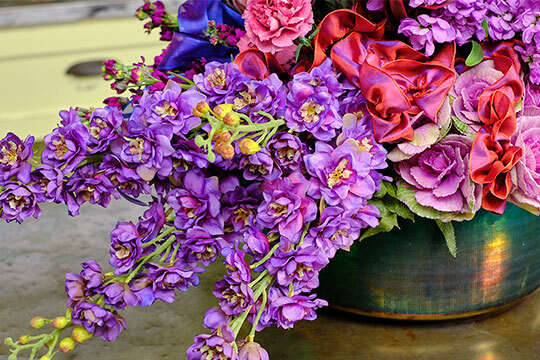 European Hand Tied Bouquets are our best sellers. 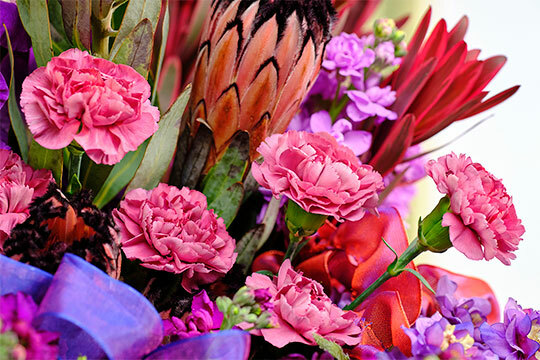 We offer flowers at discounted prices for cash and carry bouquets. If someone is going to take the time to visit my store, why shouldn’t they be rewarded with something special? What is the smartest business move you’ve ever made? Opening flower shop on one of Tampa’s busiest arteries. You are a fabulous designer! What designs thrill you the most to create? This may sound a bit unusual, but I enjoy creating sympathy and tribute arrangements. I’m not the most traditional of designers when it comes to sympathy designs. Creating a design that is different is very important to me. A design that will, just for a minute, l take someone’s mind off of the somber moment at hand. What is your design “style” and do you have a “signature” design? I really don’t have a style. I enjoy all styles of design. I do tend to create more non traditional designs for my own home or when sending something to a special friend who appreciates something different. The masses demand big and showy. I like simple and interesting. I prefer not to define my work with a style or signature since I would become very board. You do a lot of weddings! What wedding stands out as the most memorable? A Spring wedding in Orange, Black, White and Silver. What a combination for a Spring wedding! I was a bit skeptical at first, and to be honest, even up until the point in which we arrived to set up the wedding, but when it was done, it was spectacular! The theme was that of a South Beach Club Design. When it all came together, it was a showstopper. What was your most “unique” floral design request? To construct a 15 foot tree for a wedding reception. If you could work with any designer in the world…who would it be? 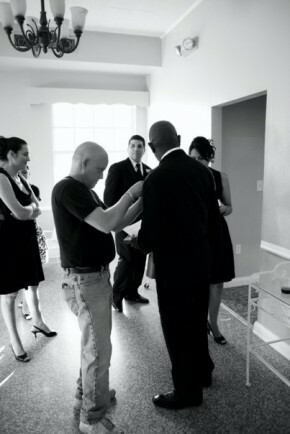 With money being no object, describe how you would design the “perfect” wedding. I’m a country boy through and through. I love fall weddings. We don’t get a chance to do much of that here in Florida. Back home in Pennsylvania we have some of the most interesting historical churches in the nation. I love to use fall berries, foliage, fruit and many natural elements. The carriage ride for the bride and groom to the reception is a must. A clear tent in the middle of a field with bonfires leading you to the tent. The tent would be adorned with rustic chandeliers and feasting tables dressed in beautiful rich fall tone fabrics, dripping in natural designs with rustic candelabras and lots and lots of candle light. Working as a landscape designer. Gardening is passion number two for me. I really don’t have a favorite, but if it has anything to do with flowers or gardening, it’s in my hand. Home Alone. All of them. They make me laugh. Well I don’t eat out much. We normally have a home cooked meal at home. I can never resist potato chips or a good hand made hard pretzel. I’m pretty simple when it comes to flowers. I must say my favorite is the white wild daisy. It reminds me of home. I enjoy country music, but I’m pretty open minded to many varieties of music. You work almost non-stop. When you find time to relax, what do you like to do? I love to go home to Pennsylvania and spend time with my family or doing some gardening in my courtyard. 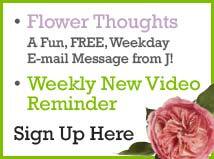 Name 3 things that you would recommend florists start doing to be successful in these quickly changing times? 1) Listen to your Customer and educate your customer. 2) Keep up with the times.